We comprehend that oven cleaning is a nagging & time consuming household chore. Do not worry we are here to help you. Our Prolux Oven Cleaning service in London helps you to minimize your burden by meticulously cleaning your stove and make it totally free from grime and odor. We use eco-friendly cleaning agents and help your kiln perform in a better manner. We help you to get immense benefits. The first and foremost advantage you get is you will be relieved from the nagging burden of cleaning your oven with chemicals and inhaling the poisonous gas emitting from the grime & carbon residues. During oven cleaning anything can happen, but do not worry about the probable risk, pass on the the burden to us, as we are fully insured. 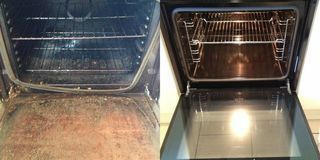 Our Prolux Oven Cleaning experts in Greater London areas deep clean your oven components in specialized de-carbonating tanks. We use degreaser & other special tools to clean your oven to utmost shine. So what you are waiting for? Give your shabby oven a refreshed look by availing our services. Isn't cooking in a clean oven a pleasure? Absolutelly, it is! But who truly enjoys cleaning the oven at home? It is tough to get volunteers from the house. And, it's just one of these things we just put off for another time that never comes. What makes matters worse is the anticipation of needing to inhale the unpleasant and often toxic products used. And our oven never really becomes as clean and shiny as the one on the picture. that has built up inside your cooker. Our expertoven cleaners are fully trained how to use the newest machines and techniques to deliver outstanding results for you. Our entire staff is fully insured so you could sit back and relax while we do all the hard work for you. Our comprehensively taught technicians recommend frequent cleaning of your oven at least once every six months in order to maintain your appliance in perfect working condition. Entrust us to do the chore you have been putting off for some time. Our cleaning maid is going to be done before you know it. We are expert cleaners and our work is a quality work. We, at Prolux Oven Cleaners take pride of our reputation for brilliant cleaning results and full customer service and satisfaction. We, Prolux Oven Cleaning are located in London and service the city and the immediate suburbs. We. 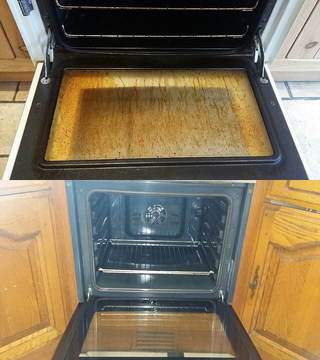 Prolux Oven Cleaning, take pride of our repute as the most popular oven cleaning company in London. In addition - just take a look at our price calculator and discover our incredible prices!. What is more, we offer large savings when you book multiple cleaning services with us for one visit. My range oven was very dirty and I wanted to be well prepared for Christmas Eve. My extractor also was not cleaned for 2 or more years. When I found out on Prolux Cleaning website that they clean extractors and range ovens I instantly called their phone. They gave me a very reasonable price and on the next day Garry came on time and took care of the problem in a highly skilful way. My oven and the extractor where excellently cleaned and looked just as brand new. I was calm and ready for Christmas holidays. My grandchildren where also excited from the results. I strongly recommend their service. I am owner of 2 small restaurants and we are running this family business from generations. As we have 4 massive range ovens, the hygiene for us matters a lot. We are very keen to pest control. I had previews problems with cleaning companies and their service wasn’t so great. One day I decided to take extra precautions and end my contract with the old cleaning company. I contacted a friend of mine and he gave me a number to call Prolux Oven Cleaning. I rang them on the phone to make a booking. They took all the necessary details. I was impressed because the staff were very polite and kind over the phone. On the next day 3 cleaners came well prepared with professional equipment’s. The process took about 4-5 hours for the range ovens to be fully cleaned. After the process finished the chefs and the assistants were very happy and amazed by the results. 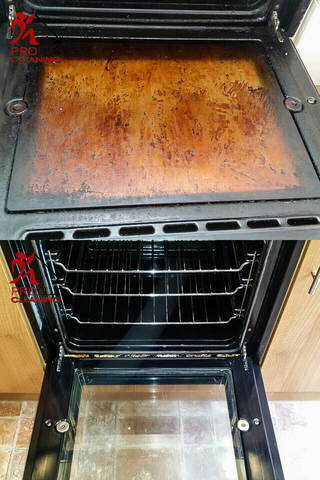 I strongly recommend Prolux Oven Cleaning.